paneer butter masala recipe | paneer makhani | butter paneer masala with detailed photo and video recipe. perhaps one of the most popular indian vegetarian curry recipes from indian cuisine. it is a mildly spicy paneer gravy recipe from the rich punjabi cuisine. 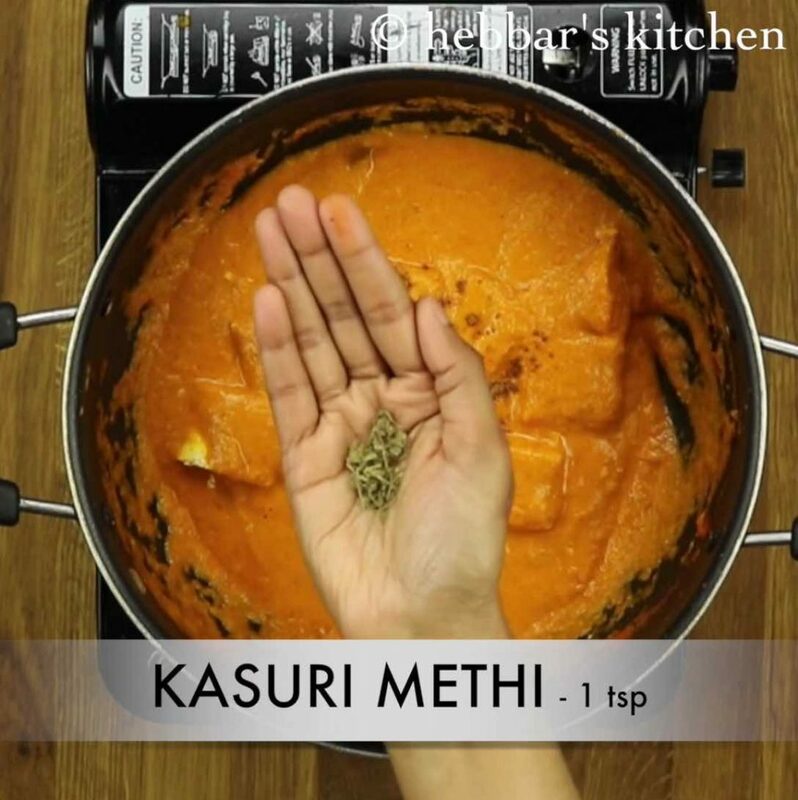 paneer butter masala recipe | paneer makhani | butter paneer masala with step by step photo and video recipe. basically this exotic paneer curry is prepared with tomato onion sauce which is creamed with cream and cashews paste. plus it is spiced with whole dry spices and ginger garlic paste. it is typically served with tandoori roti and garlic naan, but certainly can also be tried with jeera rice and pulav recipes. i am ardent follower of paneer recipes and i love paneer butter masala. 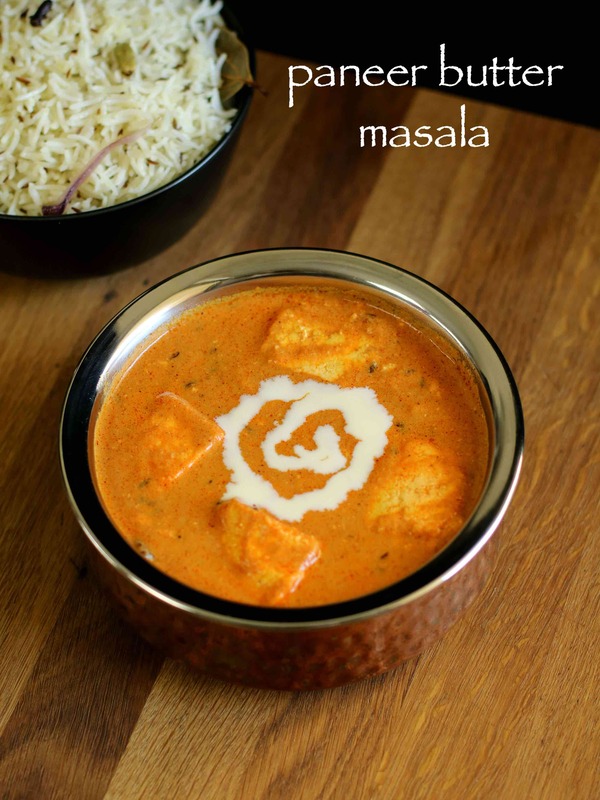 whenever, we plan for outdoor dinners, paneer makhani is always on the order list. perhaps, it has become routine for us to order butter paneer and to be honest my love to paneer recipes have not gone down. after i moved to australia, i personally did not like the taste of paneer butter masala recipe. may be because, it was too creamy and less sauce and spice. hence i started to cook myself and today i am sharing the full proof method which i have learnt all these years. 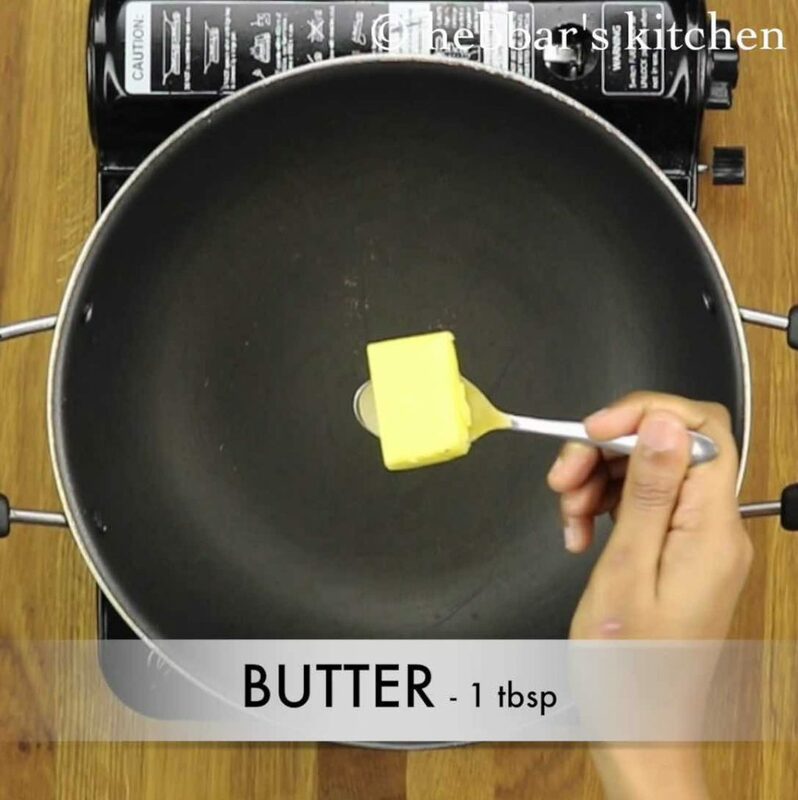 furthermore, some important tips while preparing butter masala recipe. 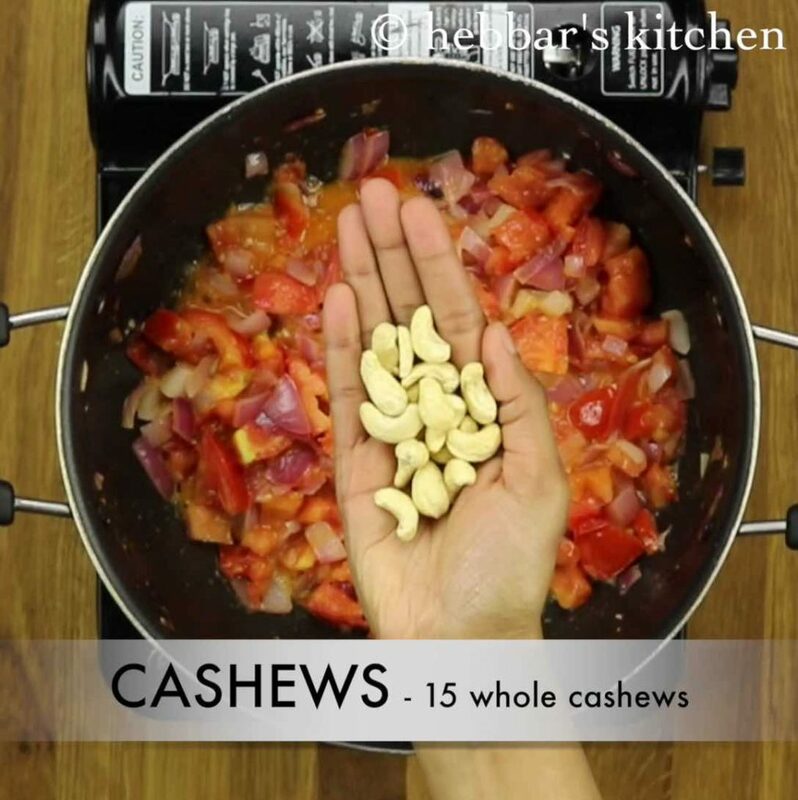 firstly, do not forget to use cashew paste or whole cashews while grounding onion and tomato paste. 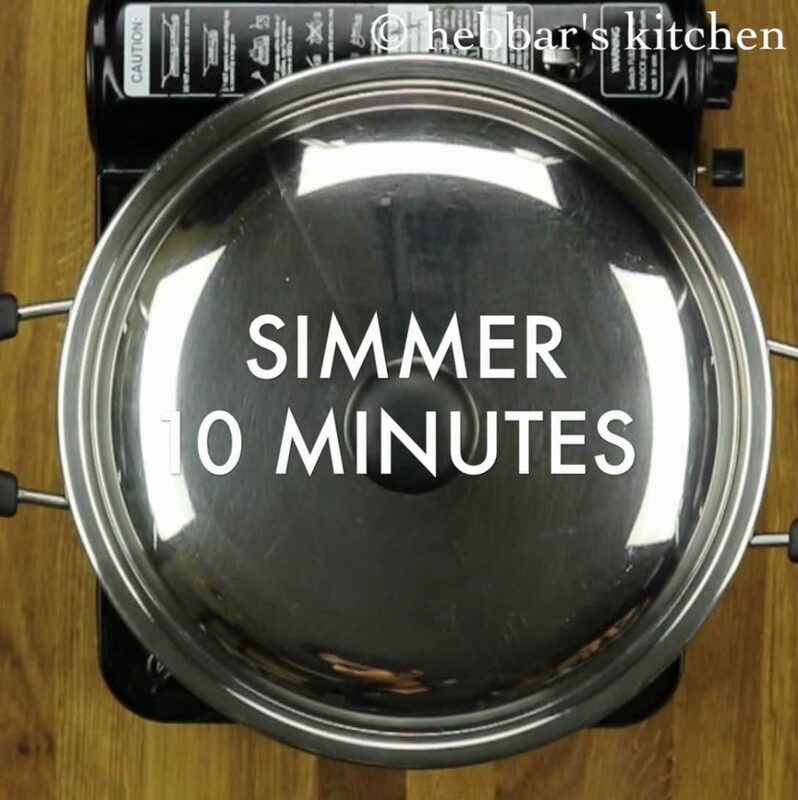 if your cashews are hard, then i would recommend to soak it for 30 minutes. 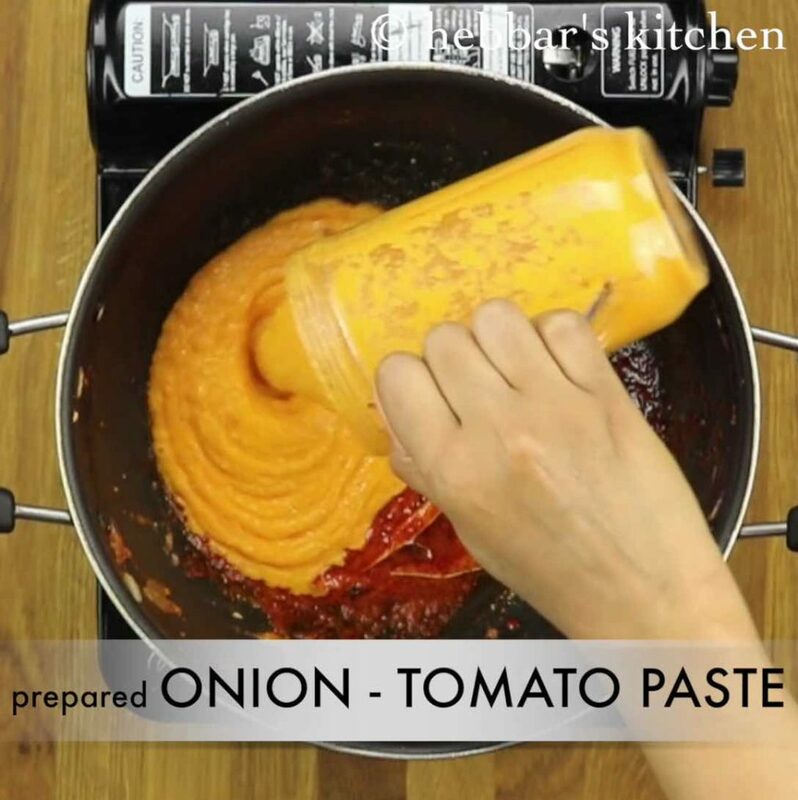 alternatively, you can also use store bought tomato paste instead of grounding onion and tomato paste. but i prefer to freshly prepare rather than store bought one. lastly, this recipe can be extended to tofu curry by replacing it with paneer. this option is handy if you do not like paneer cubes. firstly, in a large kadai heat butter and saute onions and ginger-garlic paste. further add tomatoes and cashews. saute till they turn mushy. 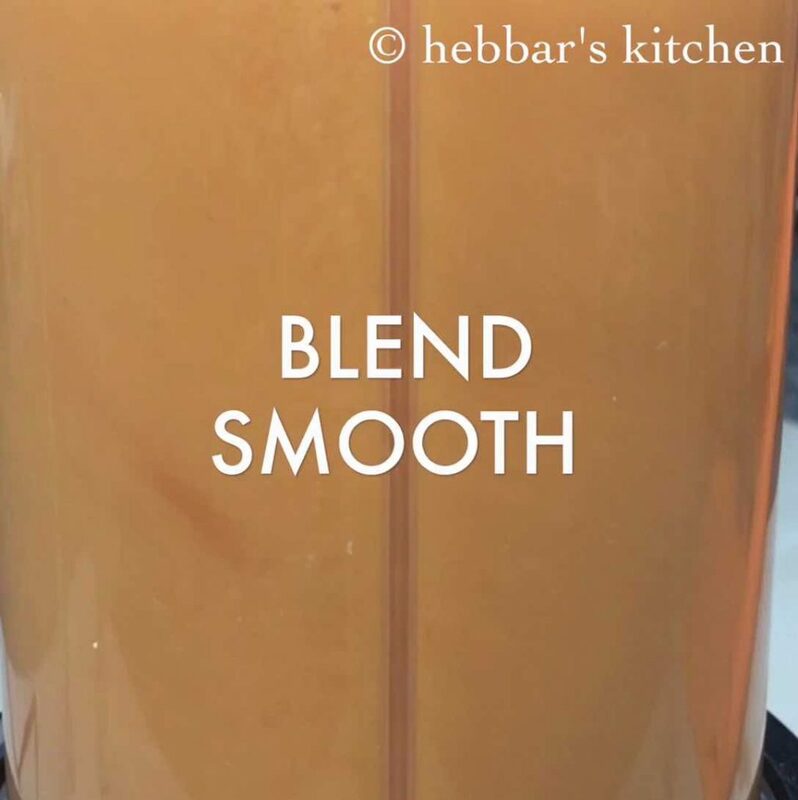 cool completely and blend to smooth paste without adding any water. furthermore, heat butter and saute bay leaf, cloves and cinnamon stick. also add turmeric and chili powder and saute on very low flame for 20 seconds. further add prepared onion-tomato paste and saute 5 minutes. 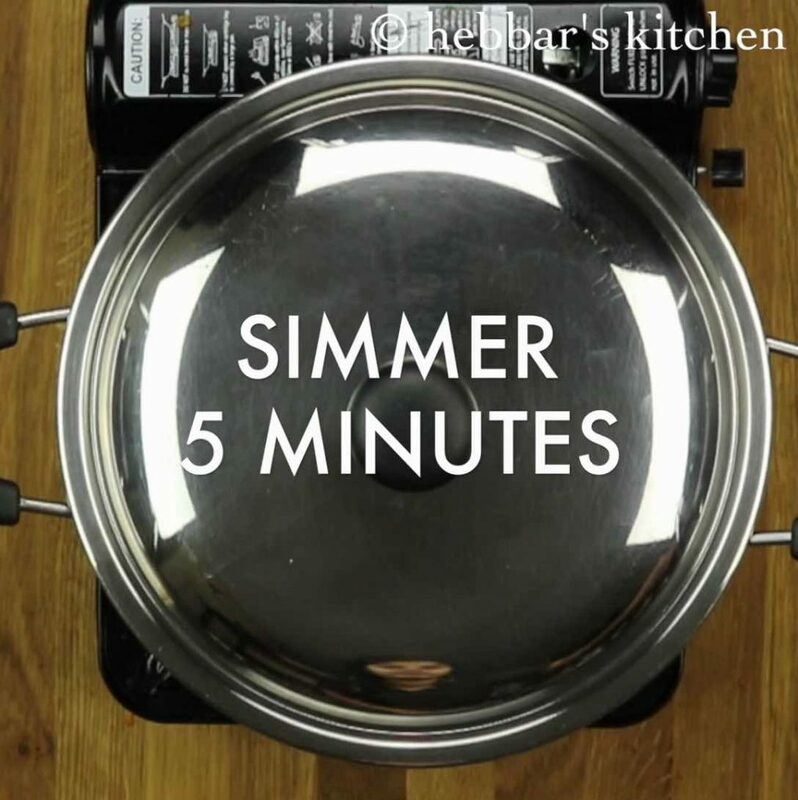 also cover and simmer for 10 minutes or till the oil separates from the gravy. additionally add coriander powder and salt to taste. saute 5 minutes or till the raw smell of spices disappears. further add cream and mix well. then add cubed paneer pieces and coat the gravy by mixing gently. lastly add garam masala and kasuri methi. mix well. finally, paneer butter masala aka panner makhani is ready to serve with roti or naan. firstly, in a large kadai heat butter. 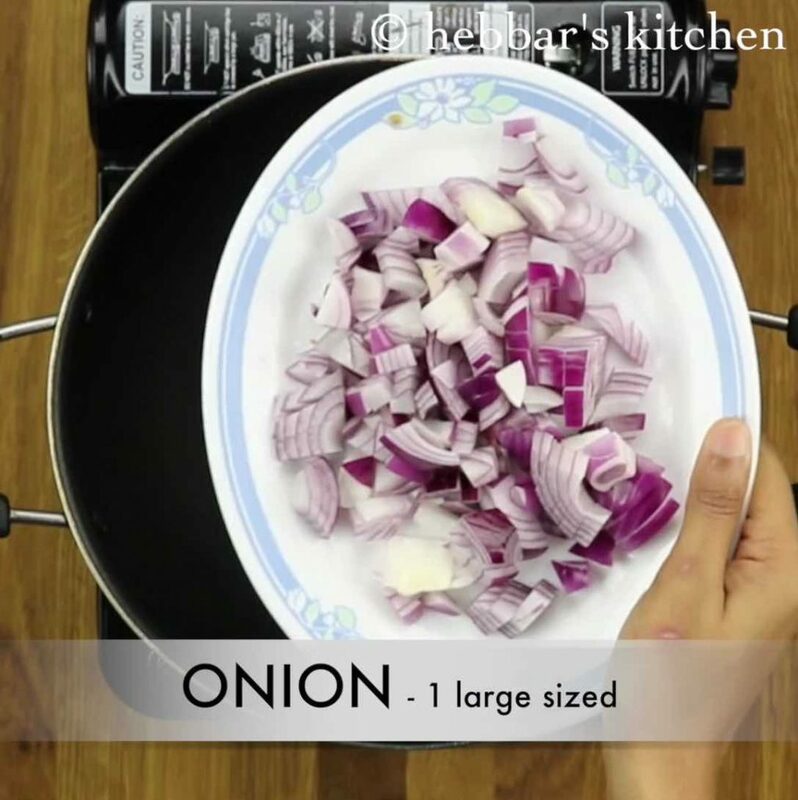 furthermore, saute onions till they turn translucent. 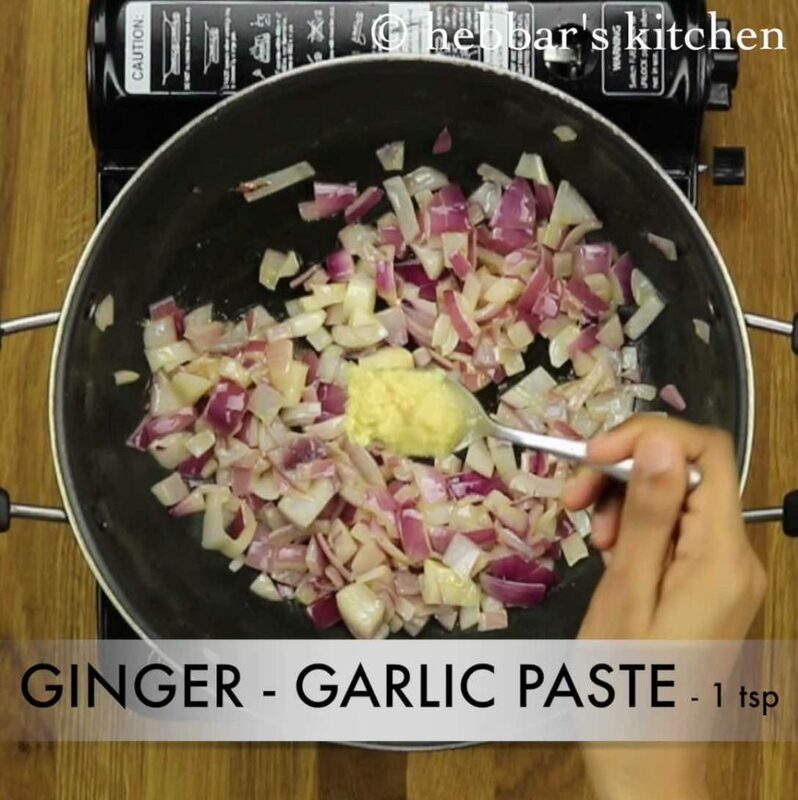 also saute 1 tsp of ginger-garlic paste till the raw smell disappears. further add tomatoes and saute till they turn mushy. also add cashews and saute till the cashews and tomatoes are cooked well. 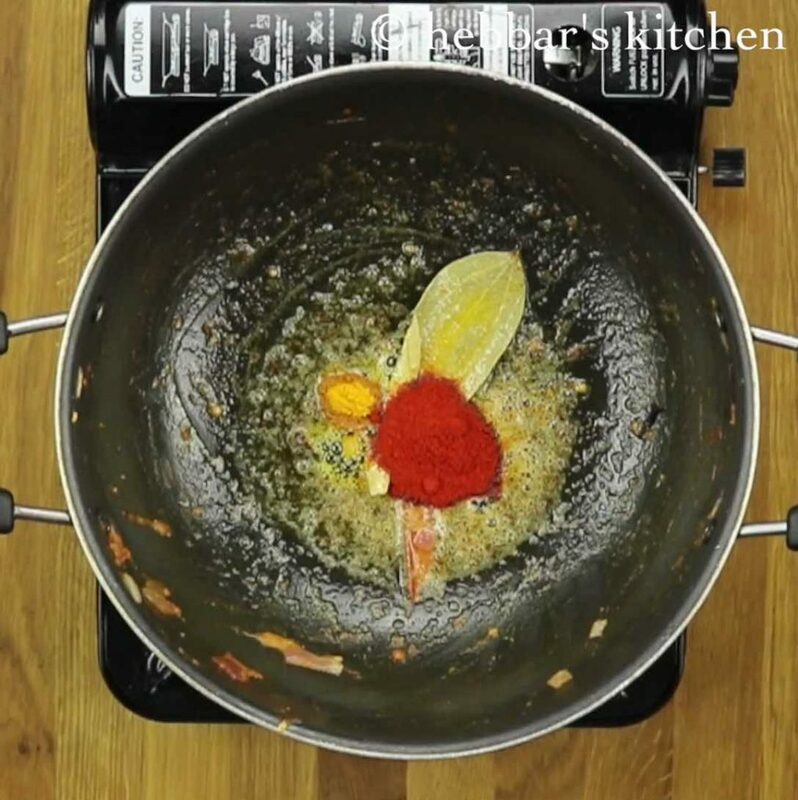 also add turmeric and chili powder and saute on very low flame for 20 seconds. 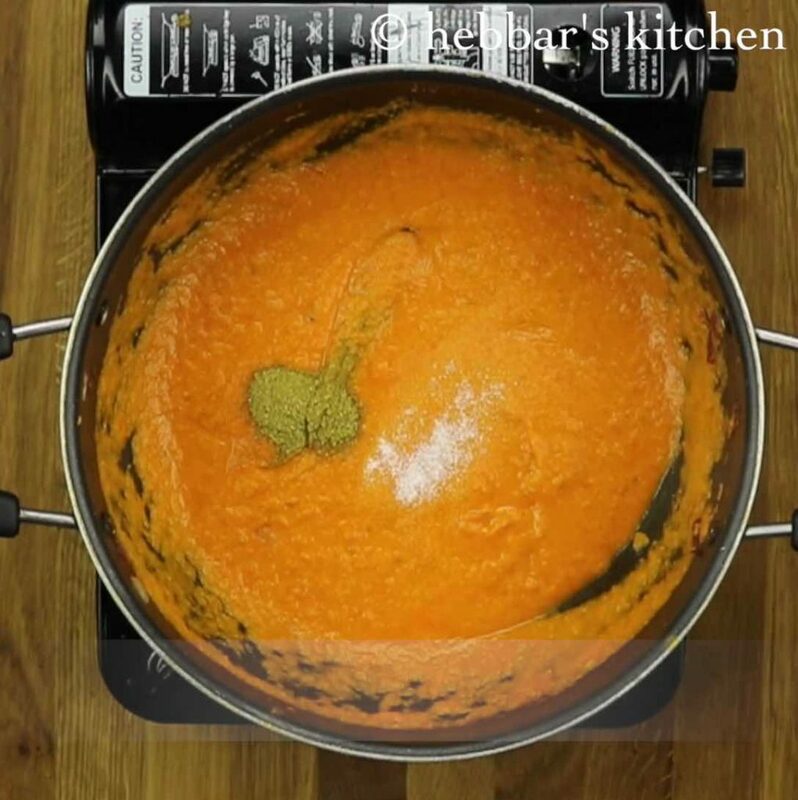 this helps to give rich colour to paneer butter masala gravy. further add cream and mix well. adding cream makes gravy more rich and creamy. then add cubed paneer pieces and coat the gravy by mixing gently without breaking paneer pieces. cut pieces to the desired shape. cover and simmer for 5 minutes making sure paneer absorbs the gravy. 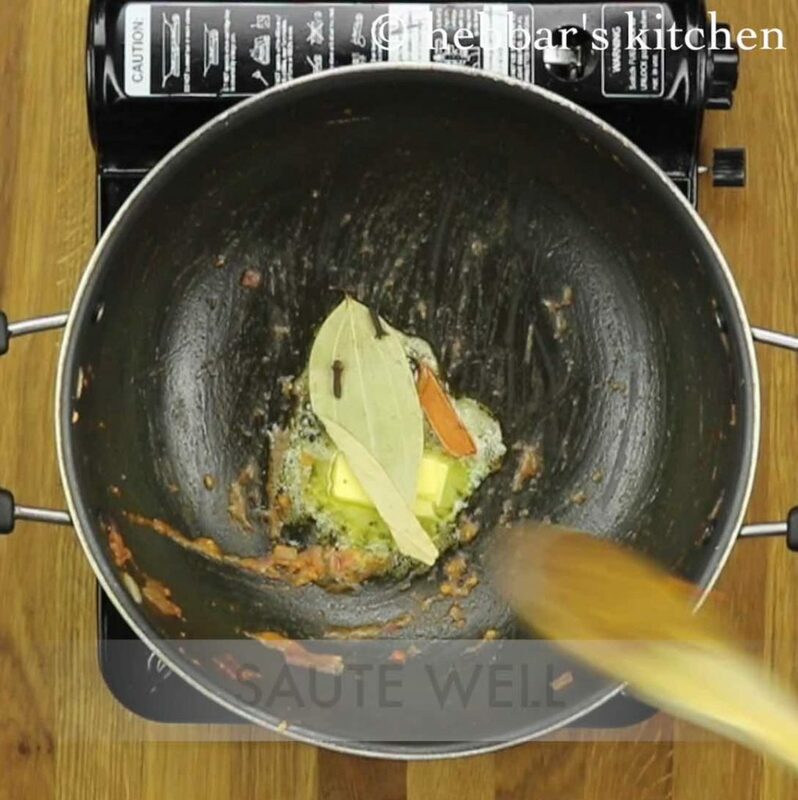 firstly, saute onions and tomatoes well to avoid raw smell in the gravy. additionally, adding cashews makes gravy more rich and creamy. furthermore, use oil if you are diet conscious. however, preparing with butter makes gravy more rich and tasty. 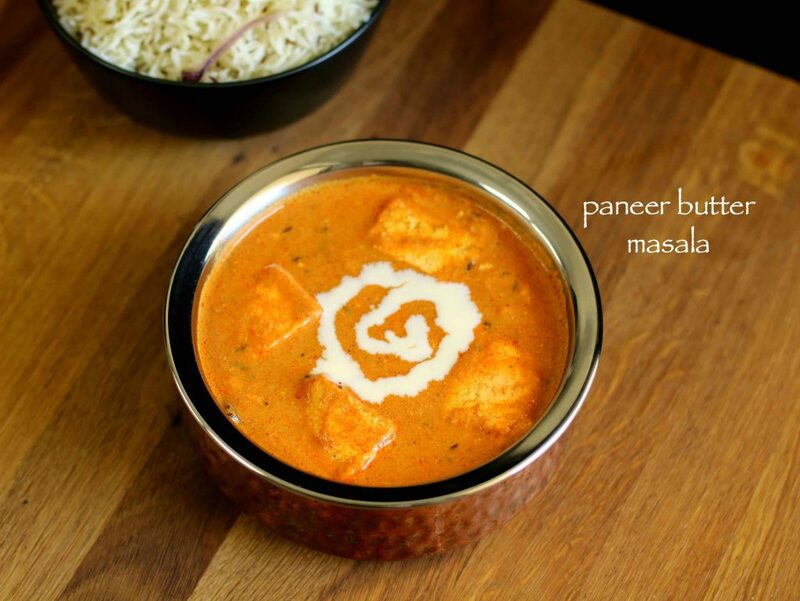 finally, paneer butter masala aka panner makhani taste great when prepared with fresh paneer. 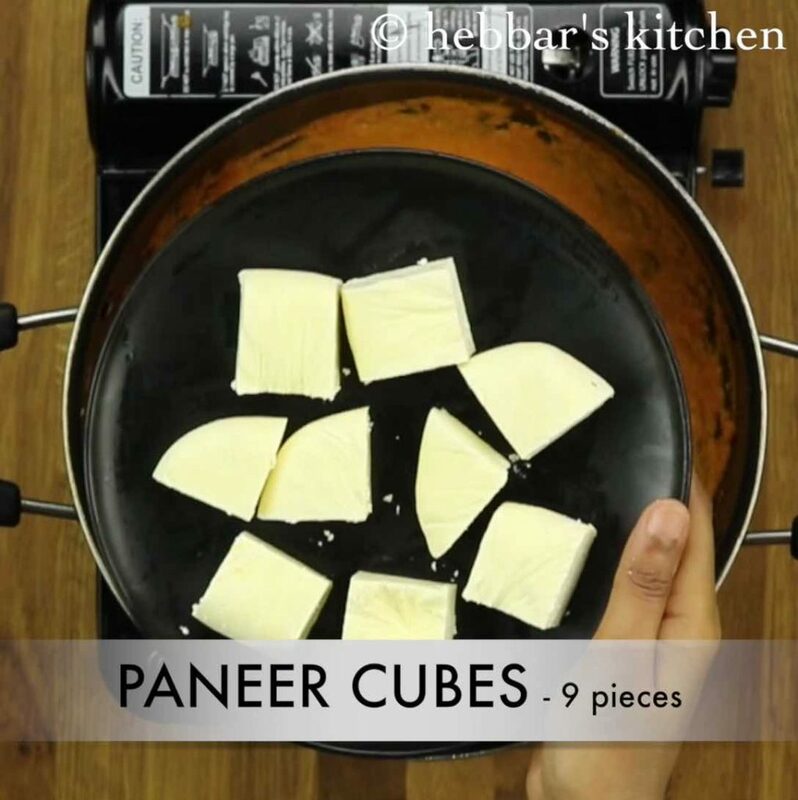 I am a Paneer fan and tried this recipe today and it turned out awesome! Thanks for this. 1. I added 3/4 tsp sugar 5-7 mins before the end – to give it a slightly sweet finish balancing the acidity. 2. Added 2 small green whole cardamom along with cloves, cinnamon, etc. Hi,..I have seen people using oil fried paneer. Will that make any difference? Also about the cream, u said u use fresh cream milk. Do u make it at home from milk? I just made this recipe and it tastes awesome!! I highly recommend this to everyone. now I can prepare delicious food using this hebbars kitchen app. excellent app easy steps for cooking .taste yummy kids love this preparation. any app is available for non-veg….? Thank you 🙂 sorry no idea about non veg recipes..
Today Tried this recipe, the taste was simply superb. it’s came out restaurant style. Thank u so much Ananya love u . Your recipes are great. Can you provide a brand name for cream to buy. i use fresh milk cream.. Tried it today… recipe was awesome ! Thank u so much hebbar! I just love ur recipes u r more like a guide to me now!!! Hebbar’s Kitchen!! Hats of to u and ur wonderful recipes. My kids too watch all the videos with me. The best part is my son has started to love eating. Thanks to u. All ur recipes are great. I have been trying most of them and they all are all very tasty. So nice to hear.. Thanks a lot. Enjoy.. Happy cooking with your son. I am trying one by one . Our whole family loved it. 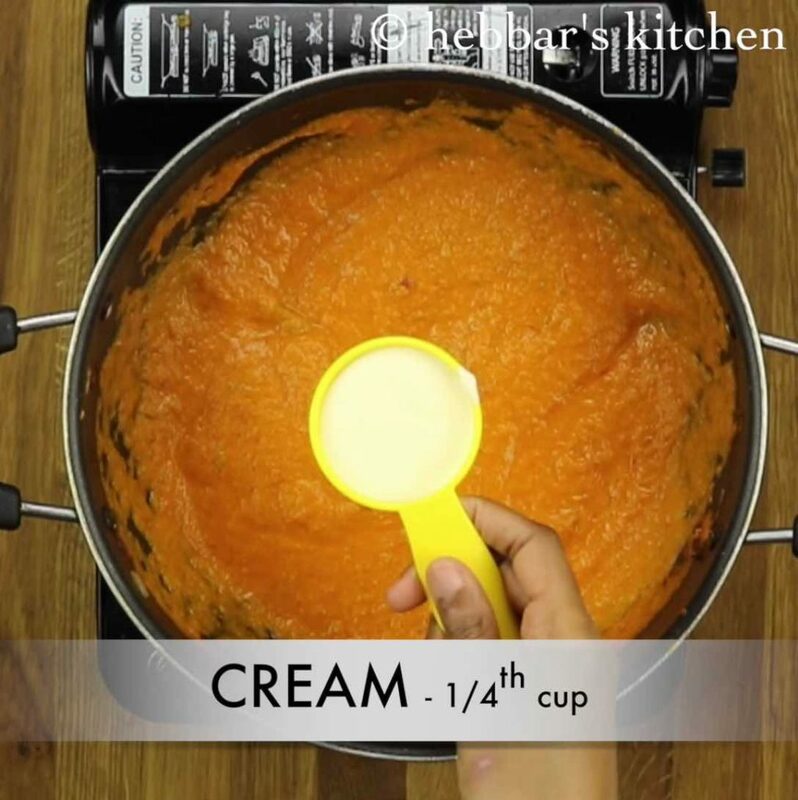 Instead of using cream can I add curd …. yeah u can also use milk.. Please tell me is it boiled milk or raw milk? I am making dishes from last one week after referring your tips and method and guess what everyone loves it. thanks for making such simple app. yeah you can.. and call it almond butter masala..
Wat can i use as a substitute for kasturi methi? Tried this recipe, the taste was simply superb. Only one thing, i felt the colour was too pale and added some colour powder, is that alright? And i kept adding water since I felt the gravy quantity was less but still it was thick enough…. Thanks a lot. Wat can i use as a substitute for kasturi methu? Thank you. Wat van i use as a substitute for kasturi methu? I tried the mentioned recipe… I really liked it.. the first thing I liked other than taste the oil did not come up…. 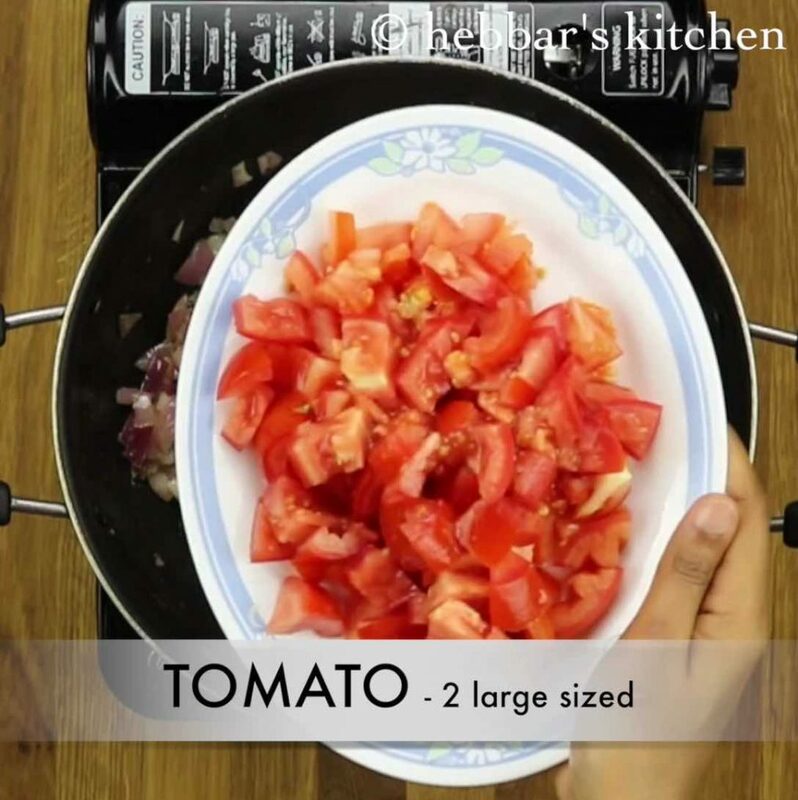 seriously this is the best app I have seen for beginners to learn cooking..i have tried many stuffs and all of them came so good….thanks for everything …your making things very simpler…am happy with the veg…can you refer the best site for non veg if you know…because many times I fail in that….. It just brought a smile on my 4yrs old daughter, very easy to make. Since I have started using ur app I just don’t feel the need to run to restaurants. Awesome food . Awesome ways. I just love this app..great going!..Keep up the good work!! All your recipes taste so good..I made pander butter masala and it was so delicious..Thanks a lot. I just love this website and all your recipes with detailed explanation is too good!! Should the paneer be blanched? not required if it is homemade. if it is store bought than you may want to do so. This looks very yummy.. Going to try this out. Can i know if there is a substitute for cream? Or can i just leave it out all together? cream is important in this recipe as the name goes makhani which means cream. but you can skip it if you are allergic to it. what curry recipe you are looking? Tried it…. awesme receipe…. easy to make and tasty to eat!! Simple & Tasty recipe…the taste came out exactly as i expected! Had a query though, the consistency of the gravy was too thick for my liking.. how do i make it a little thinner?? Can i add some water?? I think you should fry the paneer slightly to get better taste.. They will be little crispy..
yes you can but be aware the paneer may turn hard after frying. thanks a lot kriti for sharing us with your modifications. I tried this and it came out very delicious… Thanks so much.. I had prepared the receipe.it turned out yummy, However my only problem was it turned out more dry instead of gravy. Kindly advise if I can add water . I made as per instructions given in ur site however the taste is awesome but mine was dry not gravy can u plz tell wat went wrong.. Awaiting ur reply. I can think of 2 possible situations here. 1 you could have missed with the quantity of ingredients or it the gravy was boiled too much so it dried out. This is the best app so far I have seen! Love it! Thanks for making this amazing app! Well thought! thanks a lot for those nice words. Hi. I am not sure if I should ask you this question or not because all your recipes are vegetarian. 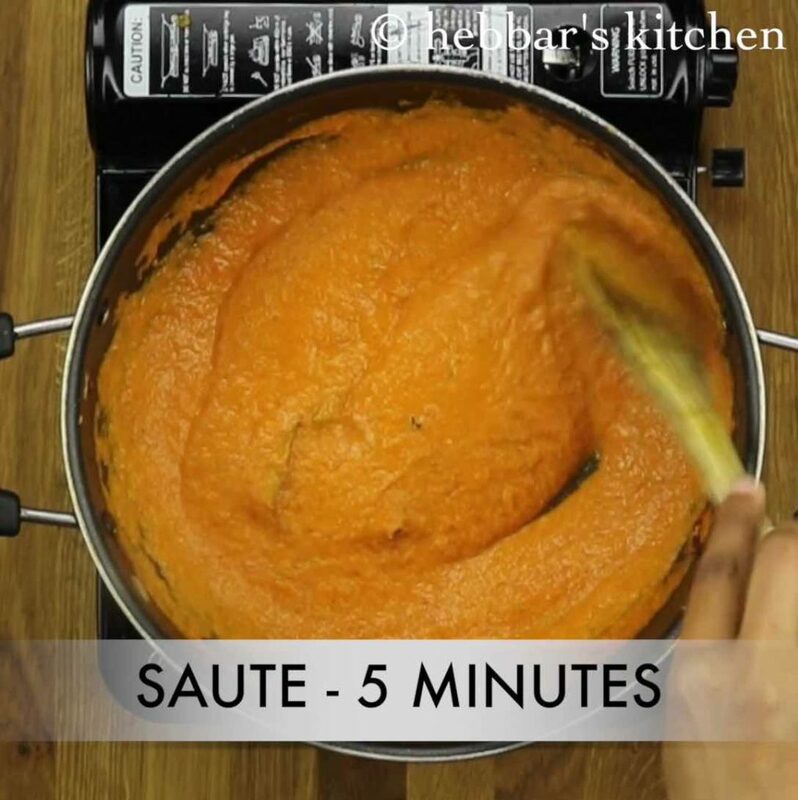 I was wondering if I can make butter chicken with the same recipe? Feel free to delete my comment if you have to. Not at all issue Amrita. You can use the same recipe but perhaps you may need to marinate the chicken with curd, ginger garlic and spices. This is my guess and you may have to refer other sites for proper marination. Thanks.